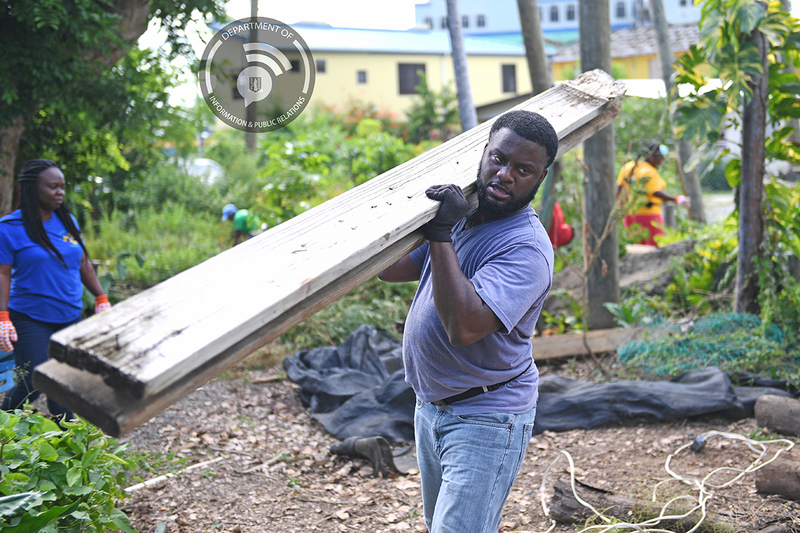 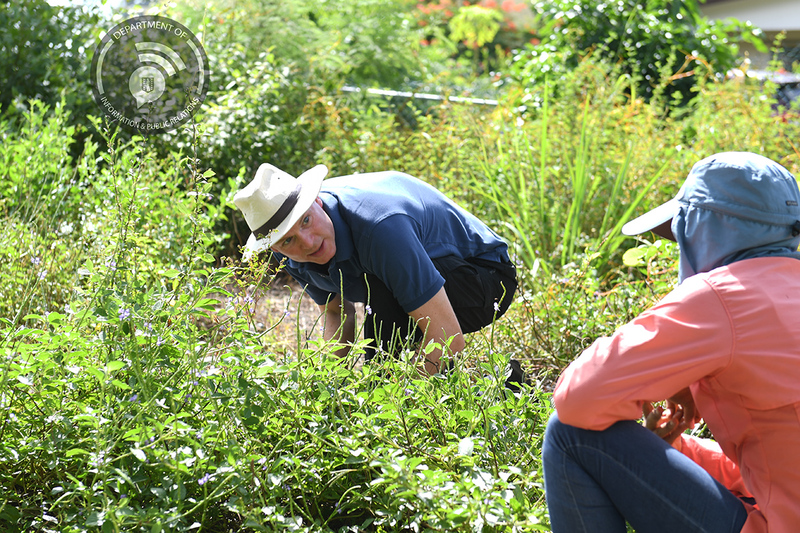 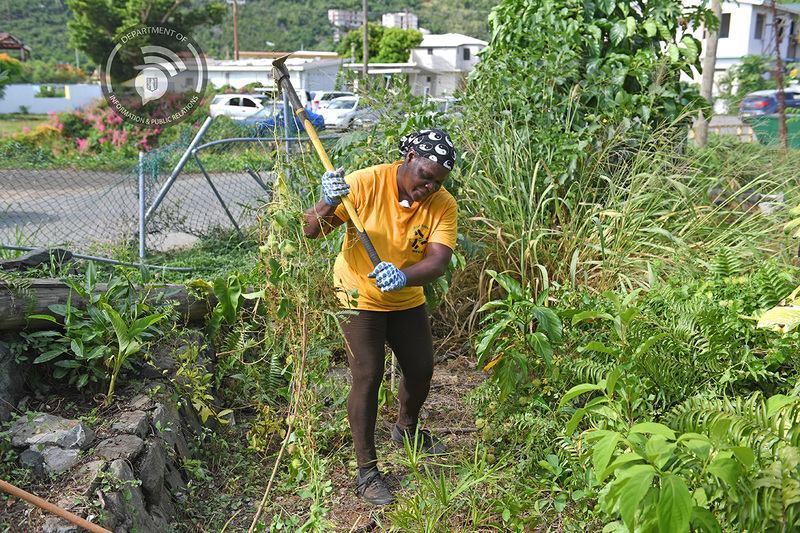 A committed team of public officers are featured as they cleaned up the J. R. O’Neal Botanic Garden as one of this year’s community service projects for Public Service Week 2018. 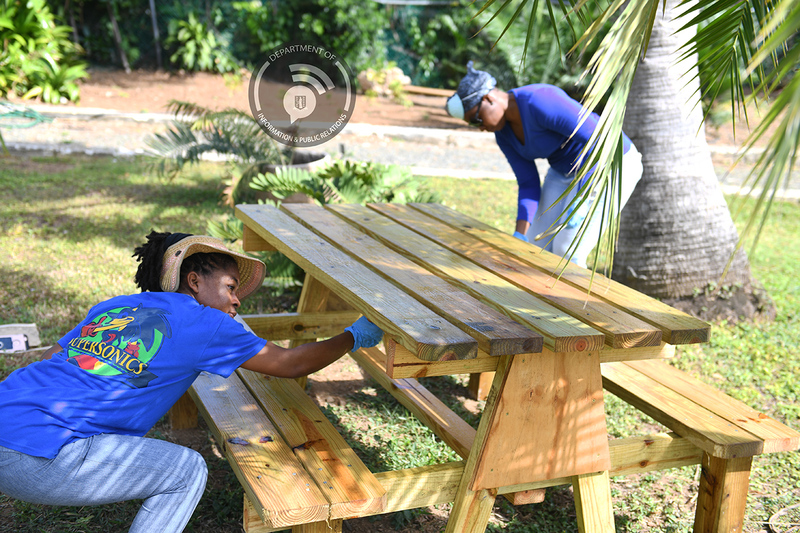 Armed with paint brushes, hoe picks, sheer commitment and muscular strength, representatives from Teams Supersonics, Eagles, Warriors and Panthers cleaned flower beds, weeded the grounds, varnished picnic benches and filled a garbage container full of fallen debris which included plywood and lumber. 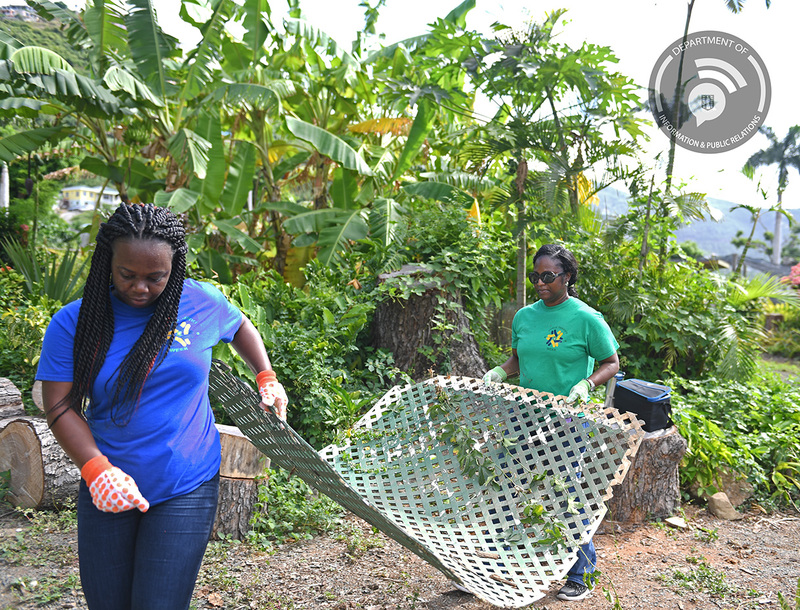 His Excellency the Governor Augustus J. U. Jaspert and Deputy Governor Mr. David D. Archer, Jr. joined in the activities.